I am thrilled (and terrified) to announce the impending release of my new book, THIS IS MY BOOK! This one is especially personal because it stars ME as the author and illustrator of the book. 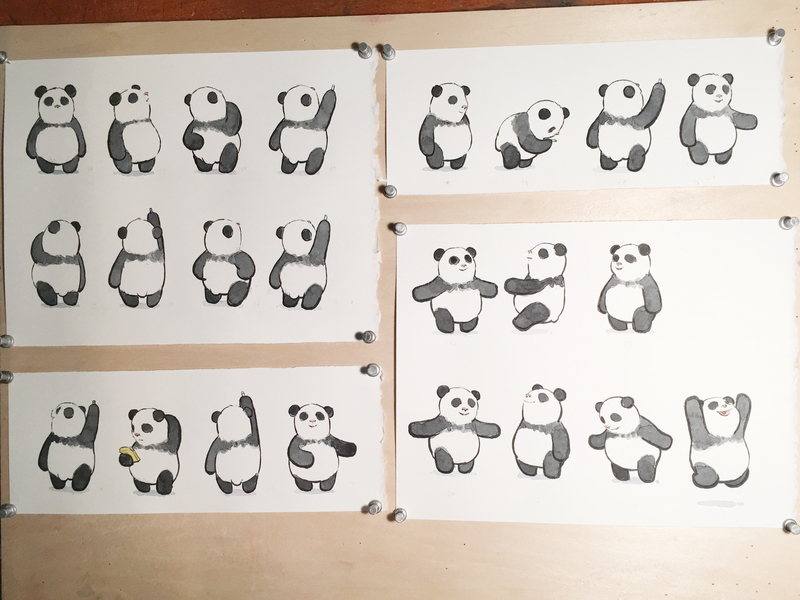 As the author and illustrator, I become extremely frustrated when my freshly drawn helper panda, Spike, does not follow my rules for the book. He starts by coloring on my clean white pages, then adding words, and then characters! He even goes so far as to add flaps, pull tabs, and more! By the end of the book, I realize that this book doesn’t just belong to me, and we invite creative input from the reader. There’s even a mini book in the back for readers to write and draw their own additions. The inspiration for this book came from my eldest daughter Millie’s early years. Like many firstborn children, she NEEDED to be in charge of games/activities of which she was a part. She became extremely frustrated when others didn’t follow HER rules. Fortunately for all of us, she’s become much better at including input from others. This book was loads of fun to create, and I’m immensely grateful for the good folks at Knopf, who didn’t bat an eye at all of the extras I wanted to pack into this book. In particular, I want to acknowledge my illustrious editor Erin Clarke and my fearless art director Katrina Damkoehler. I hope you enjoy THIS IS MY BOOK! Now, granted, I have allowed myself the use of pictures, which, it turns out, is sufficient to tell a story. In fact, I think it’s a really wonderful story. I rather hope you’ll agree. I didn’t set out to write a wordless book. I have nothing against words, per se. It just kind of happened. Perhaps I might back up. 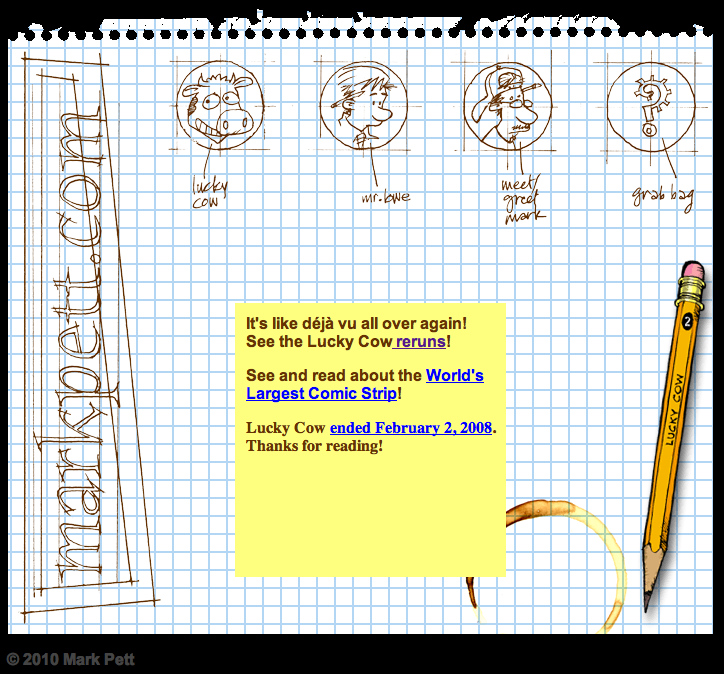 Some years ago, I wrote and drew a daily syndicated comic strip called LUCKY COW. One thing you’ll notice about comic strips is that they often become what we in the biz call “talking head” strips. That is, due to the shrinking size of comic strips in newspapers and time pressures on cartoonists, a strip becomes little more than two heads talking to each other — no backgrounds, just heads. It’s not a given, of course, that this happens to a comic strip, but it tends to happen — even to the best of them. 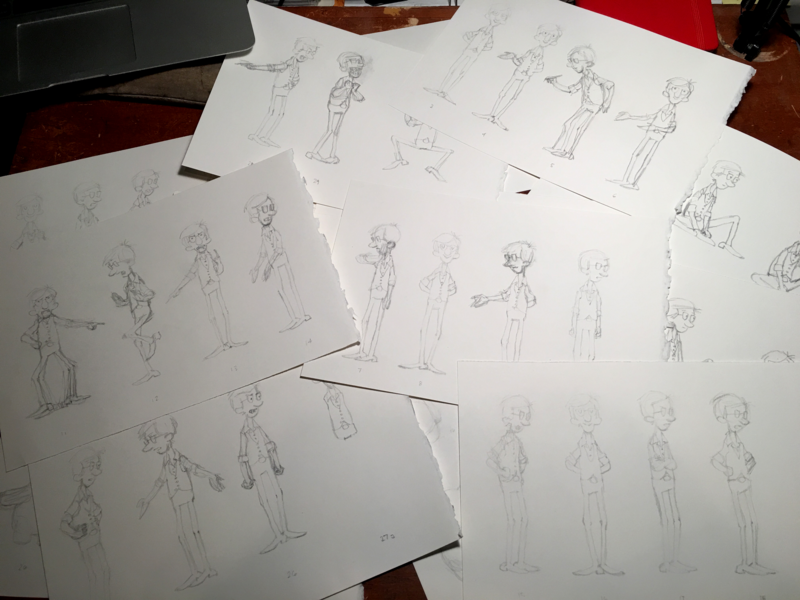 In the midst of this phenomenon, a friend of mine named Mark Tatulli launched his new comic strip LIO, a wonderfully dark wordless comic strip about a boy of the same name. After reading his strip for the first time, I asked Mark how he possibly thought he could write a wordless comic strip every single day. He replied that it was easier than I might think. He then challenged me to write an entire week of comic strips without words. “It will change the way you write,” he said. So I tried it. And lo, he was correct! Anything resembling a “talking head” strip, of course, went into the garbage can. Instead of telling the jokes, I had to show them. I became much more reliant on backgrounds, objects, actions, and expressions. 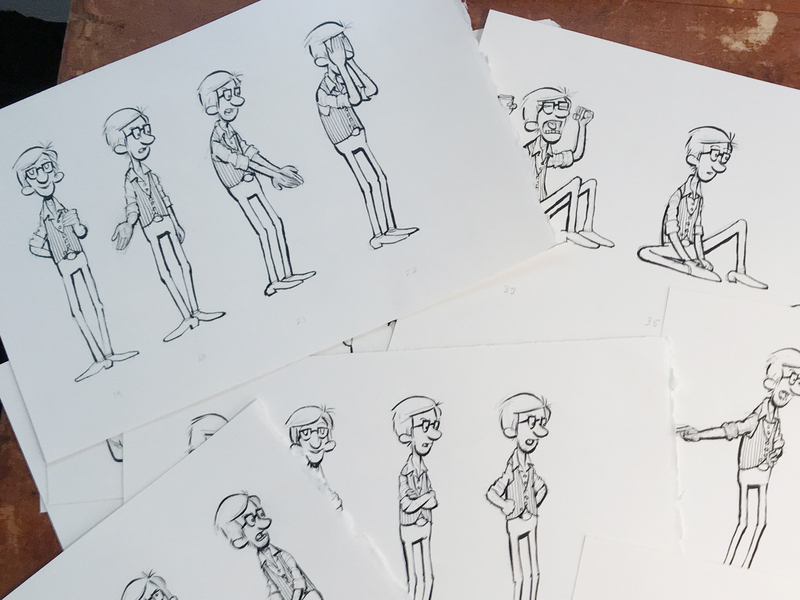 After I’d completed my Tatulli Challenge, I began every week writing my comic strips wordless. First, I told the joke with pictures. Then, I added words as needed. Indeed, it changed the way I wrote! Fast forward to my earliest drafts of THE BOY AND THE AIRPLANE. As I had done with my comic strips so often, I began by telling the story simply with pictures. Once I had done that, I began adding words. 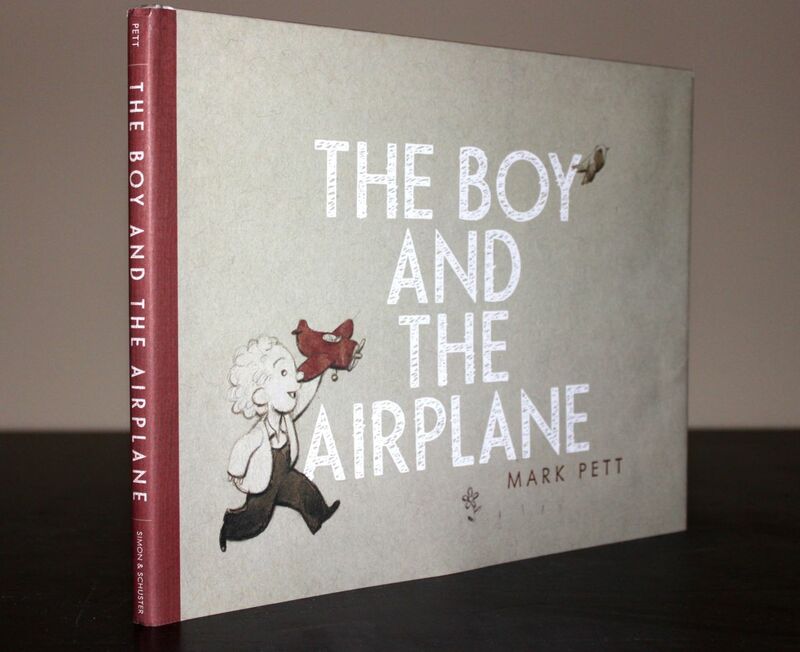 In the case of THE BOY AND THE AIRPLANE, I found that the words only distracted from the story. In the end, I found it needed none! 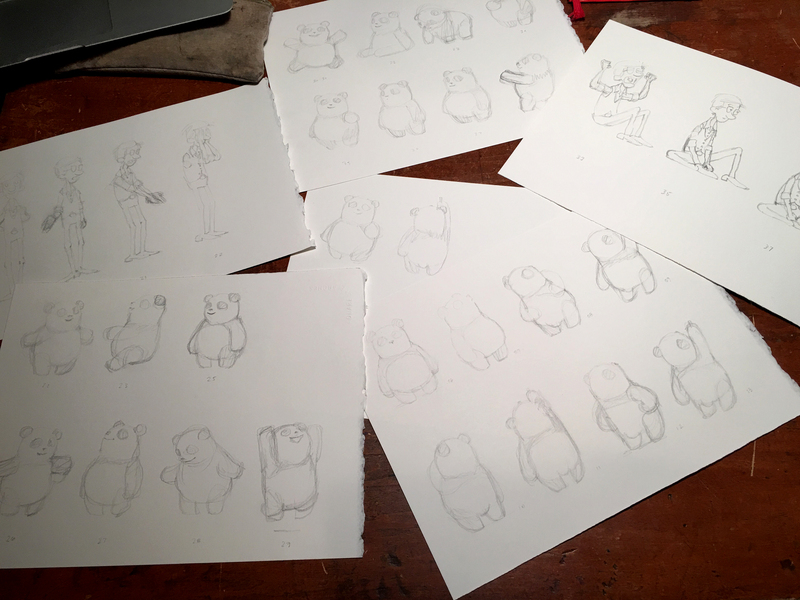 One of the “risks” of writing a wordless book is that it can lend the story to wildly different interpretations. In early reviews, I have already encountered readers who interpreted the actions in ways I had never considered. 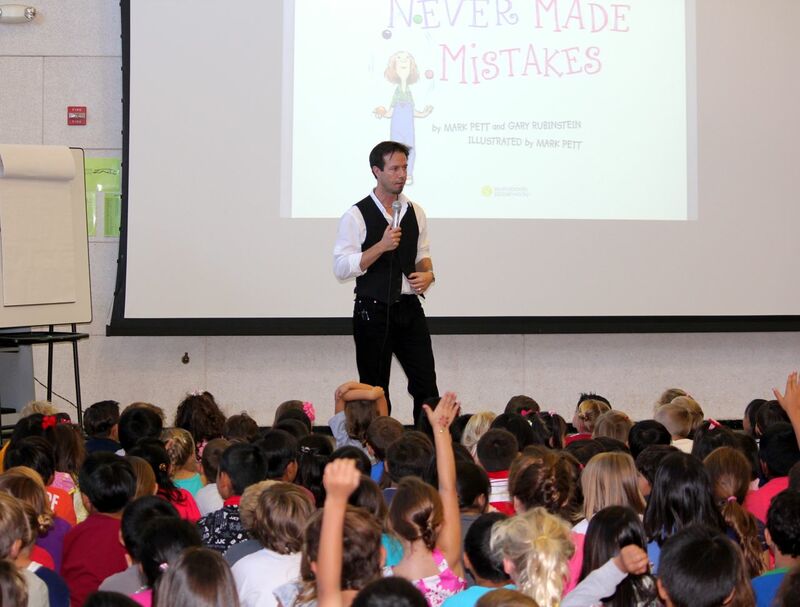 Some might find this frustrating, but one thing you quickly learn as an author is that, once your story is out in the world, it is no longer yours. On the upside, I expect being wordless will make translating THE BOY AND THE AIRPLANE into foreign languages much easier. LE GARCON ET L’AVION. There. I just translated the book into French. The Pett Family has an annual tradition. Every year, on February 19th, we put the numbers zero through nine into a hat. We draw a number out, write it down, and put it back in the hat. We repeat this until we have five numbers. Whatever zip code that is, we must visit sometime in the next year. As you can imagine, this has led to some interesting vacation destinations over the years: Cedar Rapids, Iowa; Rural Hall, North Carolina; East L.A.
How did this tradition originate, you might ask? It began many years ago, before my wife and I were married. We were both schoolteachers. If you are a schoolteacher yourself, or if you are closely acquainted with any schoolteachers, then you know that it is about February when you REALLY start looking forward to summer vacation. We were both first year schoolteachers, which added a whole other level of desperation to that REALLY. As schoolteachers, our jobs revolved around constant planning. Perhaps for this reason, we wanted someone or something else to plan our vacation for us. And since we were schoolteachers, on first-year schoolteacher salaries, we did not have the income to hire a travel planner. Or, really, to buy airline tickets or cruise ship passes. In fact, we just had a decrepit blue VW Bus in which to travel — one that was given to frequent “rests” on the side of the highways. We decided we wanted to go somewhere completely random. We contemplated the ways one might choose a random location. Flip through atlases blindly. Throw a dart at a map. None of these options seemed quite random enough. But a random zip code. That seemed about as random as we might hope to get! So what are the rules of the Zip Code Trip? The only rule is that we must visit the post office that has that zip code. 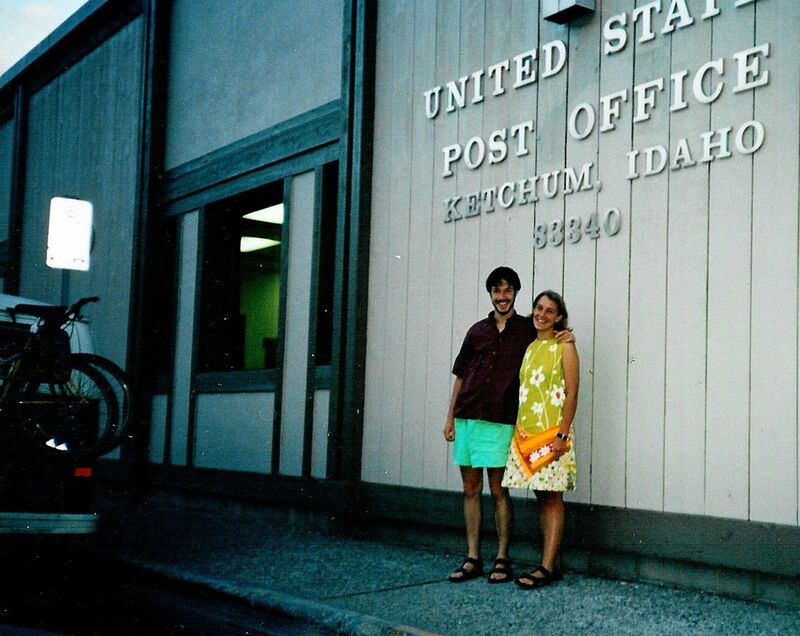 Then we mail ourselves a post card from that post office. Aside from that, we can stay there for one hour or one week. It’s up to us. 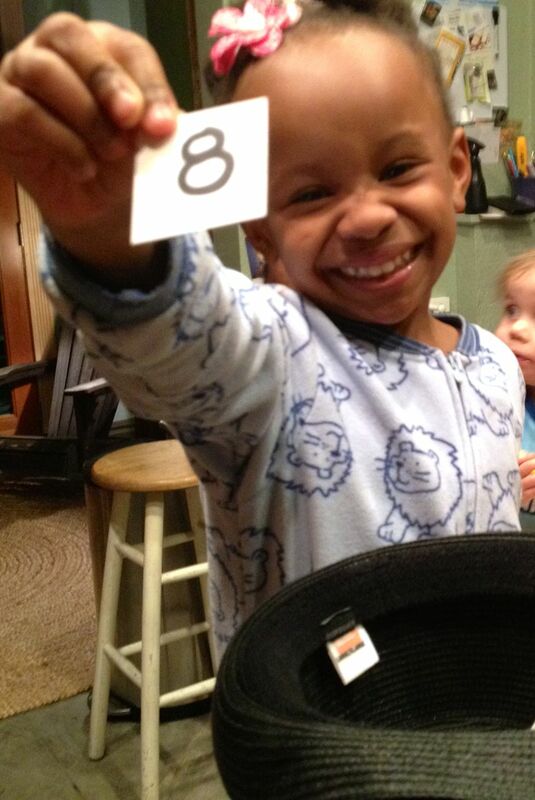 This year, my daughter Millie did the honors of drawing the first digit. Zip codes are organized geographically, with low-numbered zip codes falling on the East Coast and high-numbered zip codes falling in the West. So, with Zip Code Trips, the initial digit determines the part of the country to which you’ll be traveling. Our zip code for this year? 80166! Our Zip Code Trip destination? Littleton, Colorado! 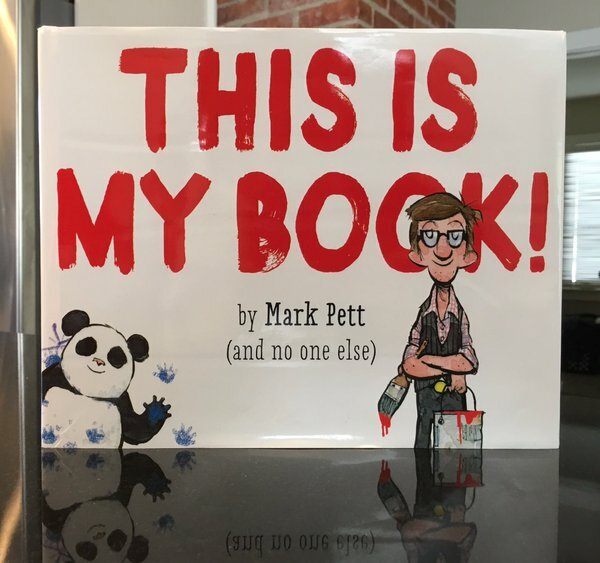 You’ve been warned, Littleton… the Petts are coming! If you’re like me, you wonder about the origins of things. How did we evolve from single-celled organisms into such wonderfully complex human forms? Whence did the seeds of civilization first take hold? From whose brilliant mind did the idea for Squeez Bacon come? Similarly, you may be wondering about the term “authorstrator,” the catch-all moniker I have chosen for this site du web. Then a small boy, perhaps 5 years old, raised his hand. “How do you like being an authorstrator?” he asked. His question hung in the air like the scent from a field of poppies. It was simultaneously adorable and a consummate description of my work. After answering his question, I paid him the highest compliment I knew how, from one creator to another. I purchased the domain name. Farewell Old Site. Hello New! It is with bittersweetness that I say a hearty farewell to my old web site. Mind you, I do not share the bitter part with some friends of mine. For instance, my good friend (and sensational author) Sara Zarr remarked that it looked like I created it on Angelfire in the ’90s. Perhaps it was the heavy use of black. Perhaps it was the copious Kurt Cobain references. I don’t know. I do know that it was painstaking work for this non-web-designer to figure out how to make the little buttons change colors when one rolled over them. And that coffee ring stain was cutting edge at the time of its creation! I swear! Nevertheless, I have heard the cries that the site was seen and found wanting. This is my attempt to bring markpett.com into the 21st century. I hope to also interact with some frequency with you, my reader(s). Hence, the blog! What will this blog be about? That, dear reader, is the adventure on which we are embarking! I have ideas. Lots of ideas. Which ideas I shall see to fruition is the little game of chance I am asking you to join me in playing.